Energy giant E.ON will have to stump up Â£1.4 million to former customers incorrectly charged for exit fees or overcharged following price hikes. In total 94,000 customers will see some form of refund come their way. 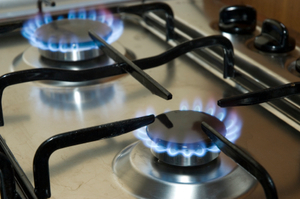 The move comes to light following an investigation by energy regulator Ofgem. It said that E.ON had now assured them that any customers effected by the charges had now been contacted. Many consumers who changed suppliers between 2008 and 2011 were hit with the charges, however, under energy regulations, customers should receive a 30 day notice period from companies regarding any price change. Something E.ON failed to do on a consistent basis. E.ON customer service director, David Bird, said: "We are very sorry to have let down some of our former customers and have made clear that we will refund the money plus interest." As a goodwill gesture, the energy firm has also promised to cough up another Â£300,000 to a consumer fund run in partnership with Age UK. In total the 94,000 customers that were mischarged, can expect to see a repayment - in the form of a cheque - of, on average, Â£14.83 by January next year. With interest of eight per cent added, customers could receive anything between Â£5 and Â£100. E.ON and other 'Big Six' energy suppliers, who are all part of the Warm Home Discount Scheme, have all been guilty of raising bills this year and this latest incident is only likely to stoke the fire between consumers and energy companies further. In reaction to the increasing number of complaints about energy bills, the Government has already announced plans for new legislation aimed at forcing suppliers to cut down their available tariffs to a choice of four. Energy secretary, Ed Davey, has even made the suggestion that the firms would have to put the customer on their cheapest tariff.